Beat This Caption Contest 172 – Caption Contest Funny Clever Witty Enter Today! 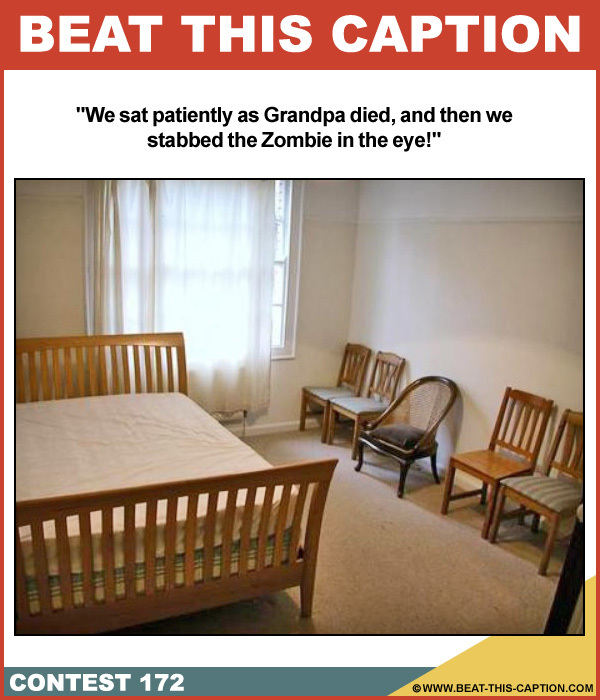 We sat patiently as Grandpa died, and then we stabbed the Zombie in the eye! November 17th – November 23rd 2013.